Robert Downey Jr. Takes Playing Iron Man as "Seriously as Shakespeare"
Day 3 of Comic-Con and fans get "Iron Man 3"and "Hobbit" fever plus a sneak peek at "Munsters" reboot. 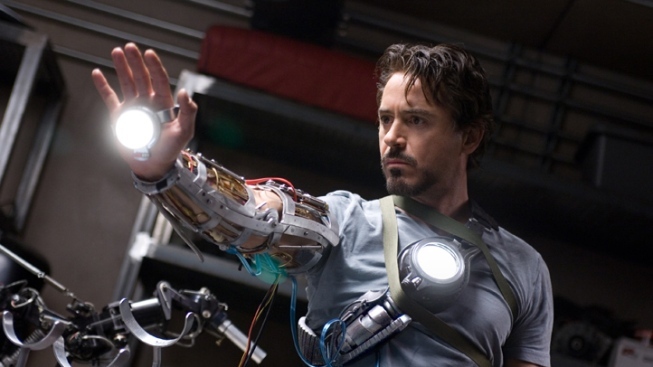 Robert Downey Jr. in "Iron Man." For many fans at Comic-Con, the success of this year's juggernaut film "The Avengers" has only whetted appetites for the next installment in the Iron Man franchise. Good thing they only have to wait until next year for "Iron Man 3" and the return of characters Tony Stark (Robert Downey Jr.), Pepper Potts (Gwyneth Paltrow) and James Rhodes (Don Cheadle). Downey Jr. and Cheadle were on hand Saturday, the penultimate day of Comic-Con - to promote the film - currently in production - and talk up the Marvel Universe. While much of the plot remains closely guarded, the cast and filmmakers did reveal that the next installment will delve more into the background lives of the main characters - without sacrificing any of the jaw-dropping action, of course. Cutest question at the conference went to the young fan with the drawn-on Tony Stark goatee who asked what it meant to Downey Jr. to play the hero. "It's an odd thing," Downey Jr. said. "I take it as seriously as Shakespeare." Serious is good word for the fans who waited patiently for hours in the sweltering humidity outside Hall H at San Diego's convention center for a glimpse of director Peter Jackson's prequel to the "Lord of the Rings" trilogy: "The Hobbit: An Unexpected Journey." If reaction to the footage shown is any indication, it looks like Jackson has a couple of major hits on his hands. 12 minutes of clips were screened of the first installment based on the J.R.R. Tolkien novel - the story will be split into two separate movies - featuring Martin Freeman as the titular Hobbit Bilbo Baggins, along with other returning characters Gollum, Gandalf and Galadriel. To fans delight, Jackson even showed the seen where Bilbo discovers the ring. Alongside Jackson on the panel were Ian McKellan (Gandalf), Andy Serkis (Gollum) and Richard Armitage who plays the dwarf Thorin Oakenshield. "The Hobbit" begins its journey in theaters December 14. "Django Unchained," the latest from "Pulp Fiction" director Quentin Tarantino, follows Django (Jamie Foxx), a black slave freed by a bounty hunter, King Schultz (Christophe Waltz). The pair embark on a bloody quest to rescue Django's captured slave wife, Broomhilda (Kerry Washington). Tarantino, Foxx, Waltz and Washington were all present on the film's morning panel. Some of the assembled 6,000+ fans had waited overnight to hear Tarantino speak. He, and the clips shown of the movie, received a thunderous applause. While Tarantino downplayed "Django" as a slave movie (likening it more to a spaghetti western), Jamie Foxx tackled the race issues without flinching, recalling moments from his adolescence that helped shape his character. "In Texas, being a kid, it was racially charged to be honest with you," he said. "Being called ni---- as a young kid growing up, by grown people, it's something I had to deal with coming from the south. Having it done to me, I was able to grasp that in the script." Also on Saturday, the penultimate day of Comic-Con, fans of returning small screen series were treated to panels from "True Blood," "Shameless," "The Vampire Diaries," "Family Guy" and a look at the new NBC fall series "Revolution" set in a post-apocalyptic world without power. 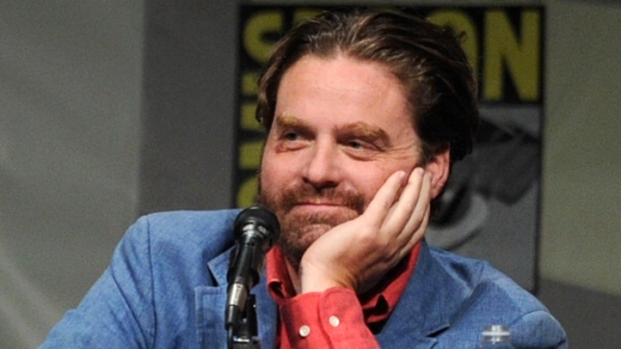 Those present for the discussion panel featuring "Pushing Daisies" creator Bryan Fuller expected the focus to be on his new series "Hannibal," which looks at the early life of psychiatrist-turned-serial-killer Hannibal Lechter. But when Butch Patrick, the actor who played the original Eddie Munster on the hit 1960's television series "The Munsters" took the podium before Fuller, fans knew they were in for a treat. Almost ten minutes of Fuller's pilot of the reboot of the classic show that centers around a close-knit family of monsters was shown to rapturous applause. "Mockingbird Lane" as it is titled - after the Munsters' address: 1313 Mockingbird Lane - is a dark, stylized take on a family that may look freaky on the outside, but are the same as you and me within. "There is no traditional family anymore," Fuller told the crowd. "It doesn't exist because there are so many different types of families. This is about embracing the freak of your family and being proud." Gone is the campy B-movie makeup and knee-slapping gags. Herman (Jerry O'Connell), the patriarch of the family no longer sports neck bolts. In their place is a what appears to be a freshly-sewn scar encircling his entire neck. His wife Lily, played by Portia de Rossi, is agelessly beautiful (she is undead, after all), and donning Grandpa's (very) bloody vampire fangs is the cross-dressing comedian Eddie Izzard. Fuller announced that NBC has ordered additional scripts, saying, "The fact that they spent a lot of money on the pilot, they're clearly invested in doing the show in a spectacular fashion." They'll be monsters doing monstrous things, he said of the Munster clan, adding that the show "would be darker" than his previous series "Dead Like Me." Inspired by the Tim Burton art exhibit in New York three years ago, Fuller described his vision of "Mockingbird Lane" so: "We wanted this to look like if Hitchcock was directing a Harry Potter film."